Turn your Waltons insulated garden room into a luxury home office, garden studio or entertainment space. Made from high quality materials, these insulated garden buildings are designed for year-round use. Double skinned, 72mm thick walls, double glazed windows and insulation in the walls, roof and floor retain heat for comfortable use whatever the weather. 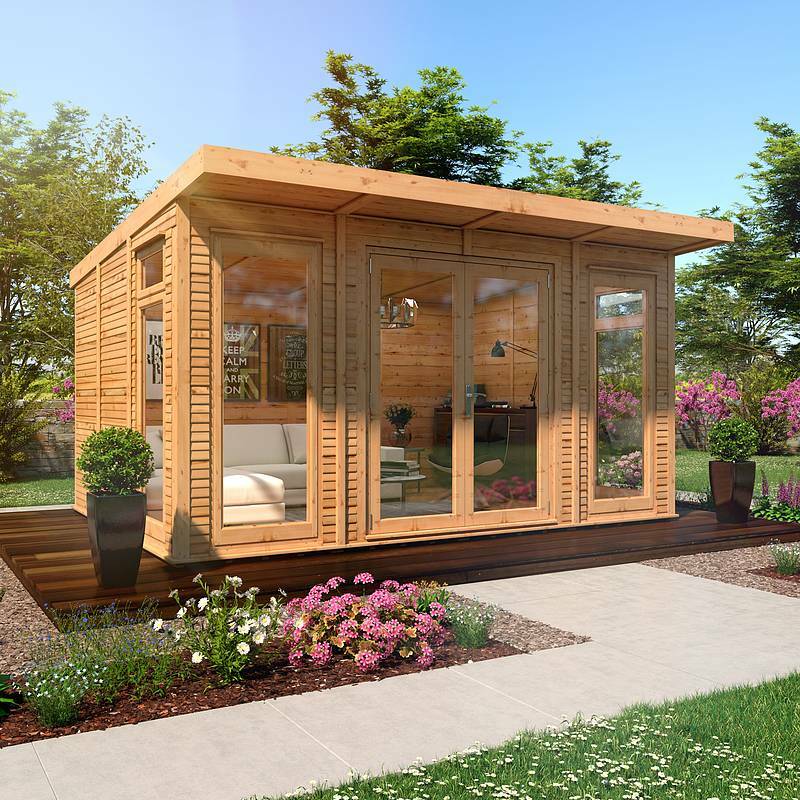 Our 3m wide garden rooms provide just the spot for working from home, relaxing or entertaining, and can be custom designed to meet your own specific requirements. "This building makes a fabulous home office. We've had electricity installed and my desk and office furniture fits perfectly. The building is very substantial and the wood looks superb. The windows and doors seem to be really well built." A 3m wide insulated garden room can give you the extra space you really need. Free delivery and installation take the headache out of buying a garden room, and you can even customise where doors and windows go (and even how many doors and windows you have). Designed with a high-quality, contemporary finish, you'll have a building that's practical and easily decorated to your own taste and style. Planning permission isn't normally required with these buildings as they're under 2.5 metres, but always check with your local planning department, just in case there are special restrictions in your area.